Happy Wednesday everyone! Last night I was google searching for new scrapbook challenge sites. I love participating in challenges because it gets my creative juices flowing. Oh yeah! I came across a really awesome blog called Challenge YOUrself. The unique part of this challenge group is you HAVE to scrap a photo of yourself. It can be a group photo as long as you're in it. I mostly scrap about my son and family, not myself. Maybe this blog will help me work on MY album and get those empty pages filled up. 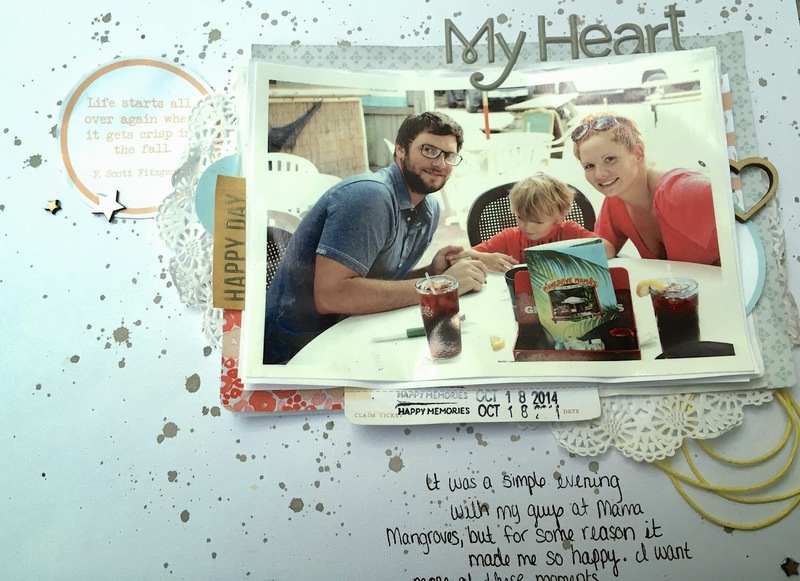 I made this page last night for the November November Sketch Challenge #12. Now I'm off to scrap another challenge. Have a great day! I love your layout, Andrea! 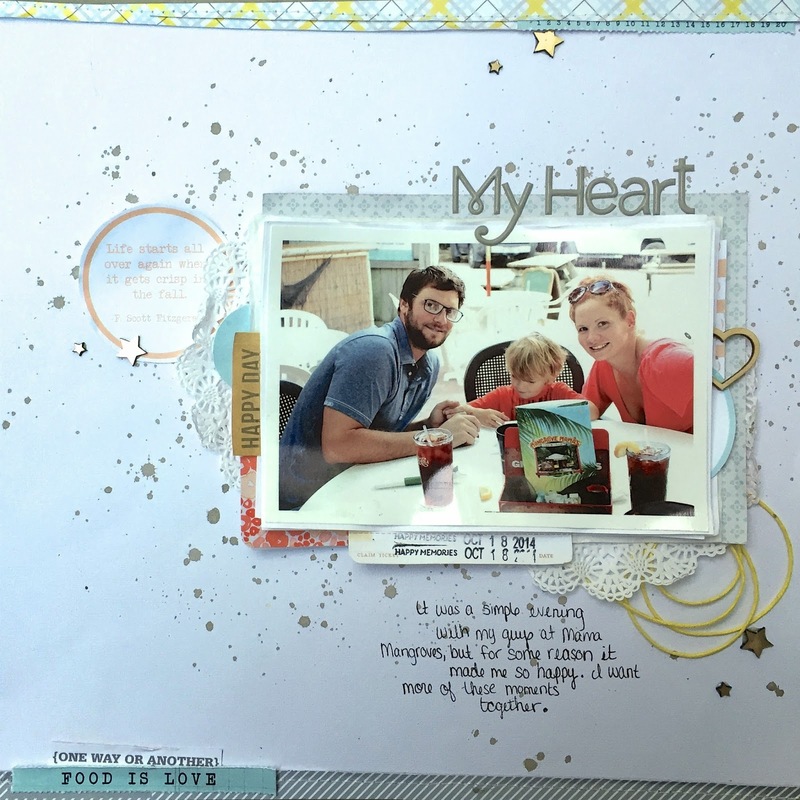 The memory and photo are wonderful and your take on the sketch is so creative! 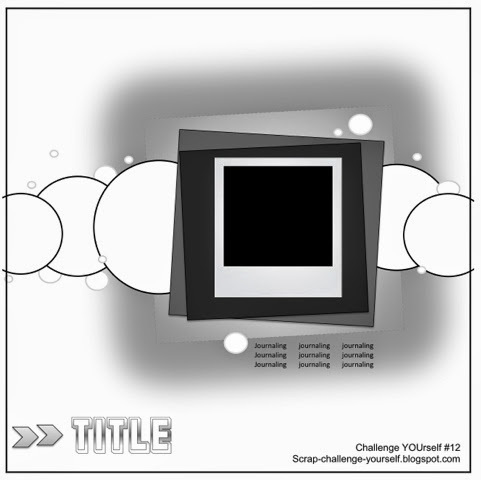 Thank you so much for joining us at Challenge YOUrself this month - we are so happy that you did!!! This sketch was so fun. I can't wait for the next challenge! Well done Andrea! So glad you found us! Great take on the sketch and I love all the layers. Thanks for playing along with us at Challenge YOUrself!